Spectacular Victorian Penthouse Duplex with Giant Private Skyline Roof Deck! Circa 1885 Townhouse! Grand Sweeping Staircases! Almost 1500SF! Three Generous Bedrooms & 2 Lavish Full Baths! Renovated to Perfection! Superior High Quality finishes throughout! Brand New Kitchen with Stainless Steel KitchenAid appliances! Supreme White Granite Counter tops & Statuario Marble Back splash! Custom dovetail, soft close Cabinetry! Large Formal Diningroom! Formal Drawingroom with Bay Window and Period Ornamental Fireplace! New Marble tiled Bathrooms with Symmons Dia bath fixtures & Ronbow double vanity! Newly refinished satin Pumpkin Pine floors are Everywhere! Jaw Dropping Mahogany Skyline Roofdeck with low maintenance iron railings for Awesome Entertaining and Enjoyment! Entire home has been painted inside & out! Central Air, Laundry & Storage! 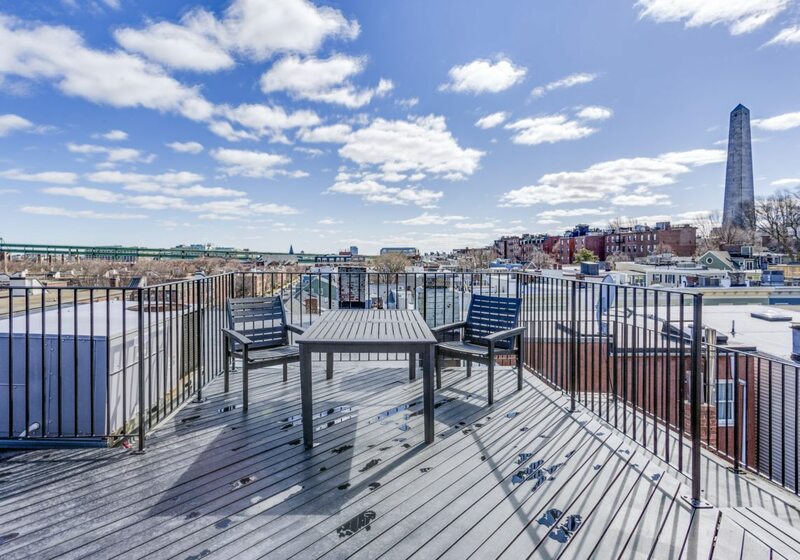 Close to all that Charlestown has to offer! Move right into this Impressive Home! Click Here to view the Interactive Floorplan and More Photos!